NBA 2K14 is a video game developed by Visual Concepts and published by 2K sports. This version of the famous basketball video game follows the NBA 2K13. Experience some superb visuals playing on the PlayStation 4 gaming platform. NBA 2K14 is based on the National Basketball Association, the supreme men’s professional competitive basketball league in North America. Play with your favorite team, as you look to look to conquer this prestigious tournament. The shot meter beneath the player makes a return with some additional improvements. The shot’s success basically depends on the player who tries to score. With a skilled player having a better probability to pull off a shot, other players with a lesser rating have a less probability to do so. The players are based on their real life analogues and have better defined strategic characters. Enjoy some amazing graphics and visual interpretations featuring the best basketball players from around the world. 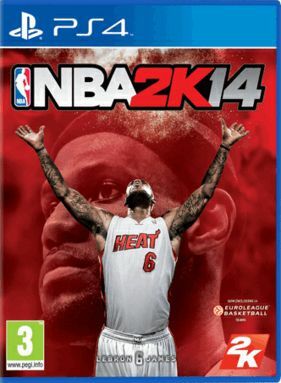 Enjoy an exceptional gaming experience in basketball through the NBA 2K14. This game is rated E by ESRB, making it suitable for individuals of all ages.